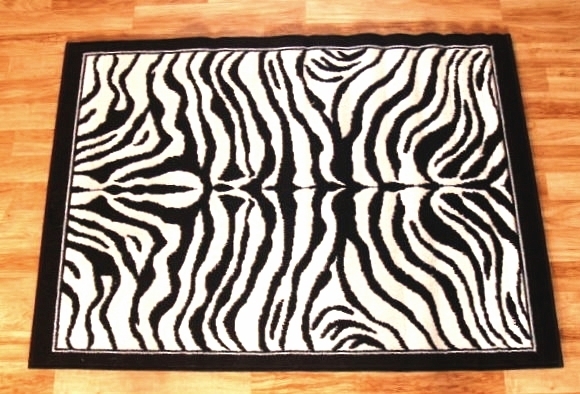 Home » Home & Garden » Rugs & Carpets » Other Rugs & Carpets » Zebra Skin Area Rug 4ft. X 6ft. 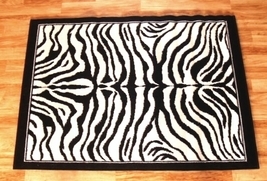 Zebra Skin Area Rug 4ft. X 6ft. Premium Sellerhollywoodloverugs has been a Gold member on Bonanza since June 30, 2014. 7 Day return policy. Buyer pays return shipping cost. 15% restocking fee if item is in new undamaged condition. We do not acccept soiled and/or damaged goods as returns. Return authorization and instructions must be requested within seven days of receipt of merchandise. Item is guaranteed to arrive in new condition or it will be replaced at no cost to buyer. 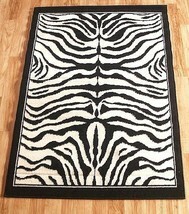 Catalogued as "Persian Weavers Area Rug"
Zebra Skin Area Rug 5ft. x 8ft. Panther Skin Border Area Rug 4ft. X 6ft. 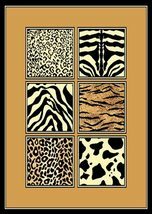 Cheetah Skin Border Area Rug 5ft. x 8ft. Panther Skin Border Area Rug 5ft. x 8ft. 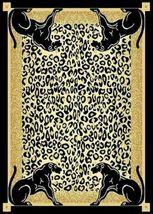 Cheetah Skin Border Area Rug 8ft. x 11ft. 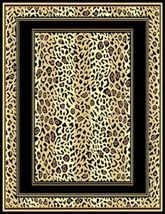 Cheetah Skin Border Area Rug 4ft. X 6ft. African Mixed Animal Border Skiin Area Rug 8ft. x 11ft. African Mixed Animal Border Skiin Area Rug 4ft. X 6ft. 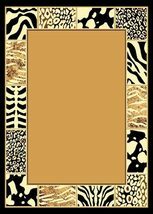 African Mixed Animal Border Skin Area Rug 5ft. x 8ft. 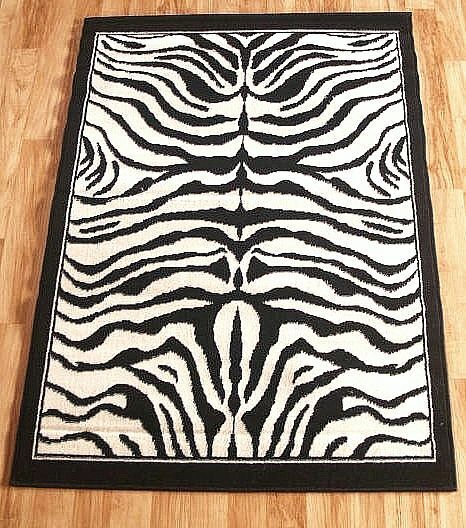 African Animal Mixed Skins Border Area Rug 8ft. x 11ft. 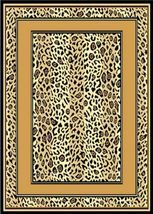 Leopard Skin Double Border Area Rug 5ft. x 8ft. Dueling Guitars Area Rug 5ft. x 7ft.